JOIN MINI MODERNS FOR A CANDLELIT EVENING PLAYING ONE OF THE MOST ICONIC GAMES OF THE SEVENTIES. 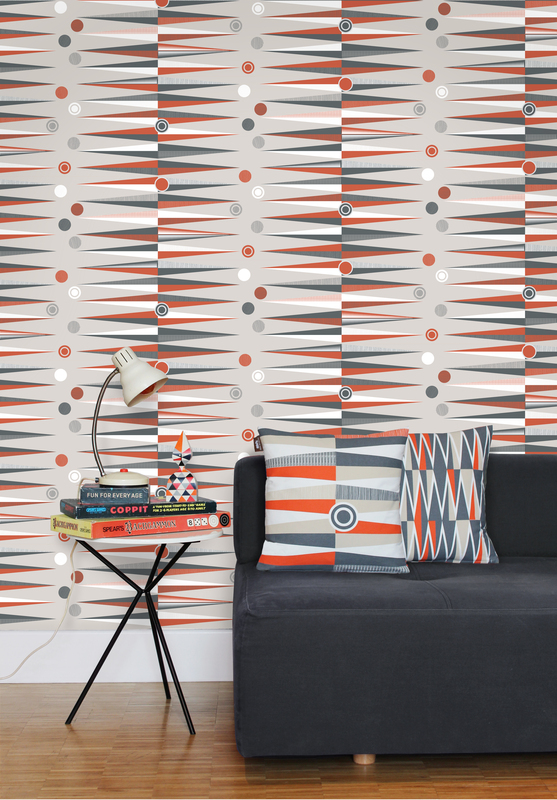 Backgammon is available as a wallpaper in 4 colourways: Harvest Orange, Mustard, Chalkhill Blue and Concrete. £50 per 10m roll – produced in the UK using water based inks on paper from sustained forests.